In a world with more countries than ever before offering tax haven status, using this way to protect your assets from the grasp of the taxman is no longer the preserve of super wealthy billionaires with yachts in the south of France. Protecting your assets offshore is a legitimate way of avoiding tax, as long as you’re transparent about it and follow the rules. So where should you put your money? Here’s our top five tax havens list to give you food for thought. This tax havens list is in no particular order because no one tax haven is universally better than another—which one is right for you will depend upon your own particular set of circumstances and what you’re looking for from a tax haven. Read through the list and see if there are any that might meet your requirements. Then talk to a professional adviser with experience in dealing with expat financial matters—taking professional advice over something that can have a significant effect on your future wealth is absolutely critical. 1. No tax havens list would be complete without Switzerland—it was the original and is still one of the leading tax havens of the world. It may seem ironic to call a landlocked country an offshore tax haven, but favourable levels of banking secrecy over a long period of time have made Swiss banks famous. Even though its privacy laws have come under international pressure, it still represents an excellent tax haven, with low tax rates and an exceptional quality of life. Switzerland is the world’s 13th largest financial centre, and many banks and international corporations have headquarters here. 2. The Isle of Man is a popular haven for UK residents who want to feel like they still live at home without having to pay UK taxes. This tiny island charges its residents no capital gains tax, no corporation tax, no inheritance tax and no stamp duty. There is income tax for residents, but it’s capped at £120,000, while for companies there are substantial advantages to placing pension funds within the island’s jurisdiction. 3. Jersey is another small English-speaking island with huge tax advantages, so it’s on every tax havens list. Although it is officially part of the UK, it is a self-governed crown dependency, which means it gets to set its own tax levels. Consequently, there is no corporation tax, no capital gains tax and no inheritance tax levied on its residents and businesses. 4. Monaco is one of the smallest tax havens, a tiny principality in the south of France with a reputation for glamour and Grands Prix. Its high property prices reflect the fact that it’s home to innumerable millionaires and billionaires. Why? Because no resident of Monaco has had to pay a penny in income tax since 1869 and corporation tax is also incredibly low. 5. The Cayman Islands have long been a tax haven, to the point where this scattered group of Caribbean islands is now one of the world’s major financial centres. There are more than 90,000 companies and corporations registered here for a single reason—they don’t have to pay any corporation tax. Many Fortune 500 companies have set up subsidiaries on Cayman and this tiny jurisdiction now holds more than one fifteenth of the world’s total banking assets. Naturally, there are many, many other tax havens that all offer their own specific tax benefits to residents and companies registered within their jurisdictions. This is just a short tax havens list, detailing the most famous of them. 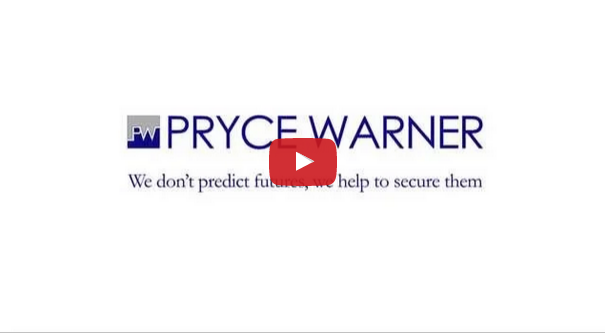 However, if you want more information on tax havens and how to use them, talk to a Pryce Warner expert—we specialise in expat financial matters and we’ll be able to advise you on exactly where you should hold your assets.